Dr Goh graduated from the Faculty of Medicine, National University of Singapore in 1990. He obtained his post-graduate degree from the Royal College of Physicians and Surgeons of Glasgow in 1995. From 1993 to 2004, Dr Goh served in the Department of Otolaryngology of Singapore General Hospital (SGH). During his tenure in SGH, he won numerous awards. These include multiple Service Quality Awards, the CEO Service Award for Outstanding Medical Service, The Best Teacher Award for Undergraduate teaching and a Gold Medal for Excellence in Medical Publication. In 2003 Dr Goh also received the ‘The Enterprise Challenge’ Award from the Prime Minister’s Office for his work on an Early Detection Device for Nasopharyngeal Cancer Screening. Dr Goh was awarded the HMDP Fellowship award in 1998 and served in the Stanford University Medical Centre as Visiting Assistant Professor / Clinical Instructor from 1999-2000. He was also Fellow to Professors Powell and Riley of Stanford University, the world pioneers of cutting edgesnoring and obstructive sleep apnea. 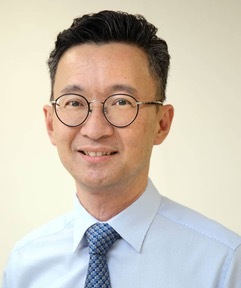 As one of the pioneers of sleep apnea surgery in Asia, Dr Goh is recognised for his work on the modified jaw advancement surgery for the treatment of obstructive sleep apnea in Asians. Outside of work, Dr Goh made time to serve in several committees over the past years. He was the Vice President of the Singapore Association for the Deaf (1997 – 2001), Honorary Secretary of the Singapore Society of Otorhinolaryngology (2000 – 2003) and Member of Post-Graduate Training Committee (Otolaryngology).